Classic Botswana Agate teardrop cut cabochon. Distinct swirling, with an "island" at upper right and a nice polish make this cab a knockout! 34mm x 22.5mm x 6mm. Weight: 33.60 carats. Do you like Botswana Agate Cabochons? 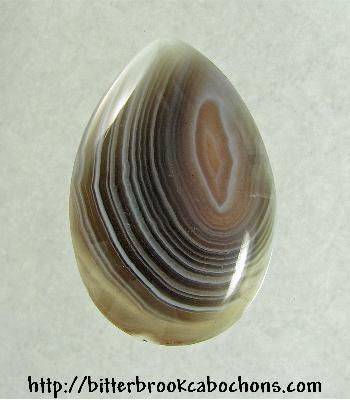 Click here to see all of the Botswana Agate Cabochons on the site!